The suggested stitch height for Loopy Hearts is 8" - 12". 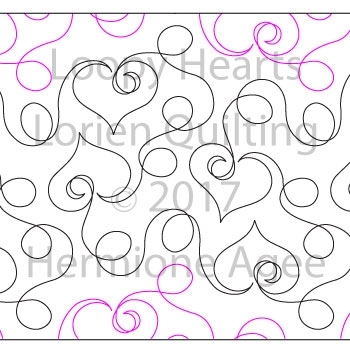 Loopy Hearts was designed by Lorien Quilting. Bought this for a baby quilt. Love it! Sews smooth, will use this again and again.